Experience – This was my son’s first time to ride Space Mountain. We were attending the Mickey’s Not So Scary Halloween Party when my sister suggested that we all ride Space Mountain. He quickly agreed to ride the ride after many, many times stating that it was “too scary”. We headed on to ride the ride and with the party ongoing, there was nearly no queue at all. He was immediately excited to see the interactive game there in the queue and was not all worried about this new experience. As a mother, however, I was completely in panic! I was not sure if he would be upset with me or would love the ride. As we boarded the rocket, he sat between my sister and I. My sister stated that she would hold his hand during the whole ride. Being in front, I regularly turned around in the rocket to check his status. 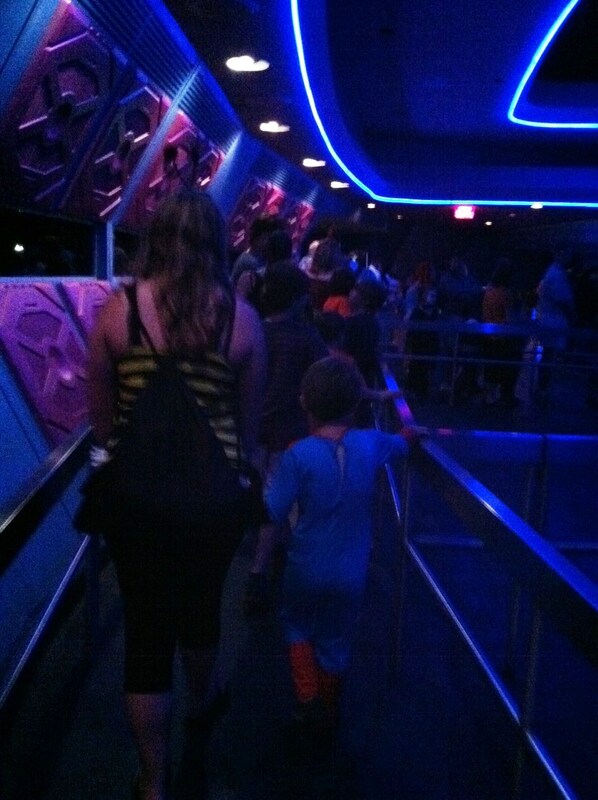 From what I could only hear (Space Mountain is completely dark), he was having the time of his life. After getting off the ride, he explained that Space Mountain was the absolute best ride ever. Soon after, we began our walk through to the exit of the attraction where he became even more in love as we passed from scene to scene. As we began to climb uphill closer towards the exit of the attraction, he stated that we were then leaving space and were traveling back to Earth. I suppose that the cameras located at the end only helped him to verify that we were indeed back on Earth!